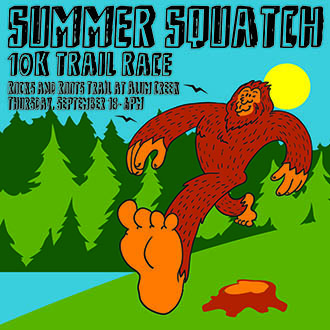 The 2016 Summer Squatch 10K Trail Race is looking for a few good volunteers! The event is being held Thursday, September 15th at Alum Creek State Park. The race begins at 6pm. We will need volunteers from 5:30pm till roughly 7pm. All volunteers receive an event shirt, a $15 gift card to Fleet Feet Sports! Early Packet pickup at Fleet Feet on September 13th and 14th. If you are interested in volunteering please fill out the form below. Details for each event will be e-mailed out the week of the event. Thanks and see you at the race! Please select a time you could volunteer in-store. You will be rewarded handsomely!